Do you have a dedicated workspace in your home? It doesn’t need to be a whole home office, though if you have the space, that’s wonderful. I mean a place that you use just for work? Creating a little zone just for you and your work can help get you mentally prepared to be productive when you start work as well as make it easier to transition out of that headspace. It’s SO important when you work remotely. After years of sharing a space with my husband, I’ve now got my very own home office. It’s amazing, but I’ve still got a lot to do before it becomes my dream workspace. In the quest for creating my dream office, I’ve been doing some research on how to increase productivity and creativity by changing your environment. 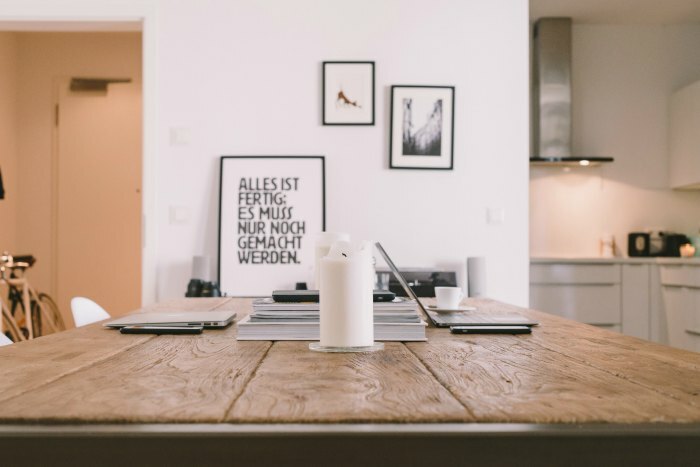 Once you’ve got your must-haves in place, like a desk, computer, and most importantly an internet connection, there is a bunch you can add to turn you into a creative and productive force to be reckoned with. Here are my suggestions to make our spaces more inspiring to place to get stuff done. Get all the plants! I wrote a post about adding plants to your office already. 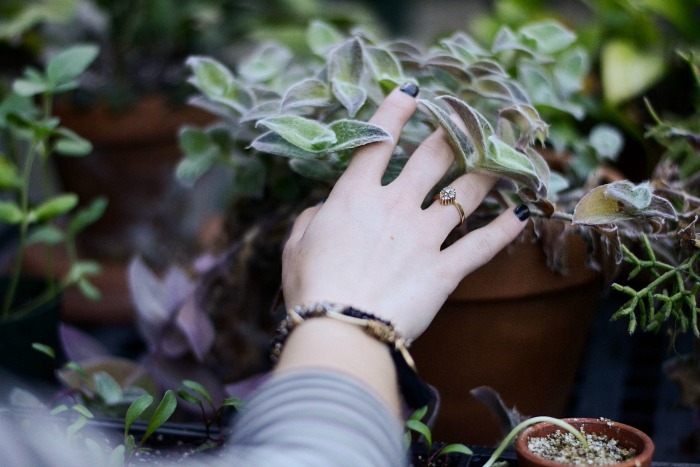 But to sum it up, there are a ton of benefits to adding the humble houseplant to your work environment, and those benefits include increased creativity AND increased productivity, not to mention cleaning up the air and environment around you. Get some now! Green and orange are said to boost creative thinking. Blue is calming and reassuring and great for detailed work. But! I think the colors that will inspire the most creativity and focus in you are colors that you LOVE. Even in your own space, giant headphones are an excellent way to shut out distractions and either put on your favorite tunes or listen to an interesting podcast. I recommend having some that are only for work. I’ve got like three pairs! They’re all cheapies, but it helps me get in the right headspace to work. I love these peach floral headphones. Music can activate your imagination and boost creativity as well as stamina, energy, and productivity. Do you feel “at home” in your space? This is so necessary (at least for me) and light quality seems to affect the feeling of a room in a big way. It turns out lighting also plays a role in your mood, creativity, productivity, and even health. Bringing in a house lamp is a great way to warm up a space with a lot of electronics (why do they make printers so ugly?!) while also giving you some additional lights. There’s actually some research on the mental health benefits of feeling the weight of a blanket on your skin. So, if you’re having trouble focusing or creating because you’re stressed, wrap yourself up! You’ll feel soothed.I like to add a blanket, like this one and drape it over my chair. I finally invested in a chair that doesn’t hurt my body this year, but it’s not my style in the looks department. I love throwing a blanket and a pillow over it. A sheepskin would be beautiful. The blanket doesn’t just hide the chair; I use it ALL THE TIME when I’m at home. Burning a candle while working just seems so fancy. It also somehow makes whatever I’m doing seem more important and adds a bit of ritual or ceremony to the process. Try lighting a candle when you begin a writing session (or whatever creative work you’re doing) and then blow it out when finished and you’ll see what I mean. I love scented candles like this one and this one, and I’m currently burning this one. Have some things on hand so you can take a quick, ideally screen-free break, like coloring or regular books, art supplies, notebooks and fancy pens. I wrote more about this in another post if you want to know more, but giving your brain a break and a reward will keep you going strong and replenish your creativity and willpower stores. These are my favorite items to bring into any workspace. What are yours? I’d love to hear about them in the comments! P.S. Check out my Pinterest board Happy Home Offices to see lots of beautiful and inspiring workspaces! Great ideas for creating a productive workplace. My office is also my living room so I work while son is in school. Totally get that! I used to work out of a studio apartment I shared with my husband. Working from my couch, I found headphones extra helpful. What are some of your tricks for getting in the right headspace for work? It’s hard to get that perfect feel with a little space. These are great ideas to inspire creativity. Thanks for sharing! It is so awesome to have a dedicated work space. I also think it helps with productivity. One thing I really like in my office/craft room is a small TV. I like to have it on in the background. Yeah, when possible I feel it helps. Depending on the task, I like a little background noise too. I don’t have a TV in my office, so I’ll listen to the radio or a podcast, stuff like that. These are really awesome tips and ideas! 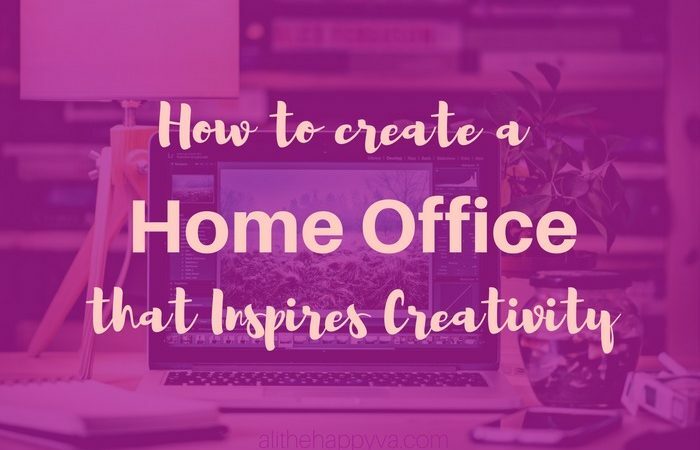 I will definitely apply a few of these ideas for my home office. It could use some sprucing up. We have been traveling full time in a trailer and I haven’t had any space to myself. We are looking to put down roots and I am looking forward to creating a space of my own. I need to revamp my office space. My son has slowly taken over the desk and it’s a mess! I feel more productive and organized when it’s nice and tidy. I love these ideas! I recently moved my office from my living room into a spare bedroom. Having the perfect setting can be so inspiring. My hubs totally doesn’t get it but he doesn’t need to. As long as I’m motivated and inspired that’s all that matters. It can be hard to do the screen breaks, but I was getting migraines and that seems to have stopped them. Now it’s a must for me 🙂 Thanks so much for stopping by! Very beautiful, beautiful art! The images were very good indeed, congratulations on the beautiful article! Hug!